Quebec Premier François Legault says his government could buy shares in order to prevent the company from being sold or dismantled. Quebec Premier François Legault is not ruling out help for embattled engineering giant SNC-Lavalin. He says his government could buy shares in order to prevent the company from being sold or dismantled. 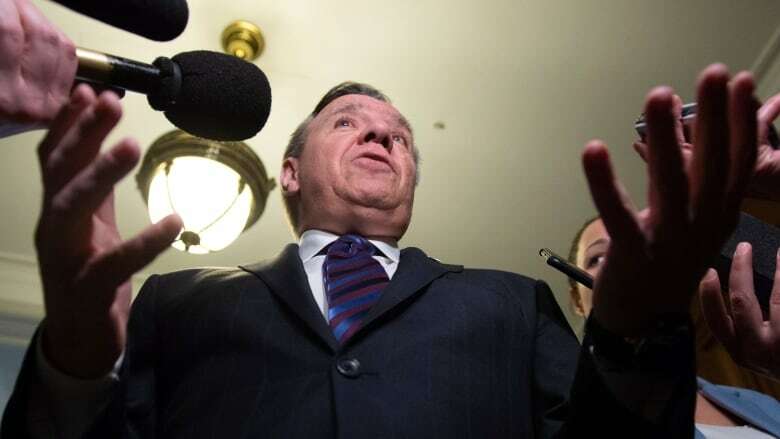 Legault says all options are on the table when it comes to saving the troubled Montreal-based firm and the thousands of jobs it provides. SNC-Lavalin is currently facing fraud charges stemming from alleged dealings with the Libyan regime under Moammar Gadhafi between 2001 and 2011. A conviction would mean a 10-year ban from bidding on federal contracts, which could cripple the company. Former attorney general Jody Wilson-Raybould quit Prime Minister Justin Trudeau's cabinet last month, testifying later that he and his staff inappropriately pressured her to negotiate a remediation agreement that would allow the company to avoid criminal charges. Legault told reporters in Bromont, Que. yesterday that he has spoken with Trudeau on the need to find a way to save SNC-Lavalin and the jobs. The province's pension fund manager already has a stake of about 20 per cent in the company, but not enough to form a blocking minority. In his public statements, Legault has repeatedly expressed concern that prosecuting the company could weaken its value and make it vulnerable to a foreign takeover. He has made it clear that his government's priority is to keep homegrown companies in Quebec. Soon after the provincial election in October, SNC-Lavalin President and CEO Neil Bruce and the firm's senior executive in charge of SNC-Lavalin's lobbying strategy, Erik Ryan, met with Legault in Montreal. While the the premier's office has declined to provide details of that meeting, an official in the prime minister's office has said Legault and Trudeau have at least twice discussed efforts to save jobs at the Montreal-based engineering firm.